For the first time in a few years I'm going to have a co-reviewer on Beer O'Clock Australia. The plan is that we'll divide the duplicates at soccer soon after they arrive. We'll both drink them individually and record our thoughts, before getting together to share the single beers in the pack (and possibly a few more!). The December pack was in my mind the best one to date. It had three brand new Australian releases (from Moon Dog, Kaiju! and Exit) alongside the Beer-Thusiast Pack's first exclusive beer; the previously keg-only Hop Nation The Punch. Sitting alongside them were a lager from New Zealand, one of my favourite fruit infused IPA's and a particularly seasonal beer. Without further ado, this review is over a month late now, let's get into the tasting notes. There are nowhere near enough Munich Helles Lagers available, in good condition, in Australia. 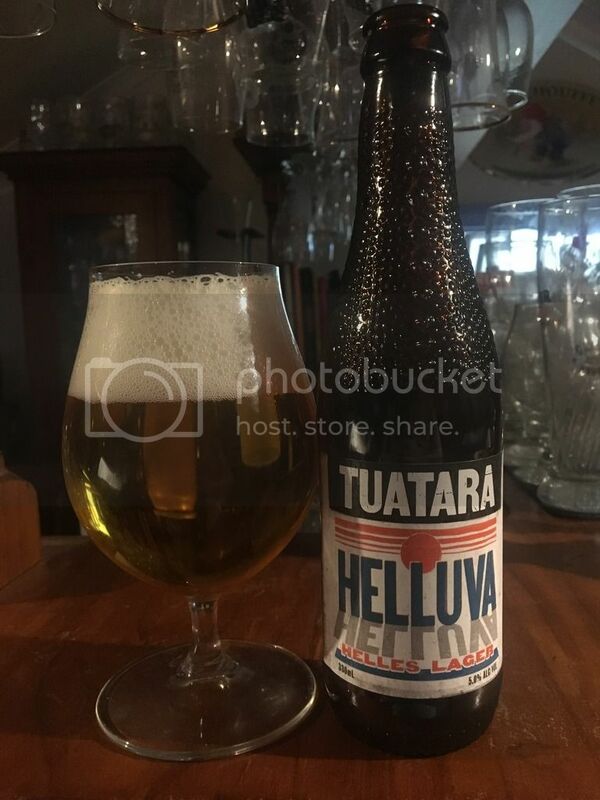 This is the old Tuatara Helles that has recently been rebranded, alongside a host of their other core range beers. You can read about that change here if you're interested in that sort of thing. On a similar note their beers are worth buying for the reptilian bottles alone! "I was really happy to see Carwyn include a lager in December’s pack, both because I was sure they’d pick a good one and because I feel lagers are oft overlooked by modern craft beer drinkers. There’s nothing wrong with a well made lager, especially amongst the strong flavours of this pack! Tuatara are a very solid brewery and this is an excellent helles. Toasty, lingering maltiness with subtle citrus and a crisp finish. Lovely golden colour too." I have enjoyed more of these than most since their December launch, in fact I'm leading the check-in count on Untappd at time of writing. This Carwyn Beer-Thusiast Pack one was in fact the first that had been poured into a vessel before it had crossed my lips! It's a highly sessionable lager that Dylan has done a more than apt job of describing below. 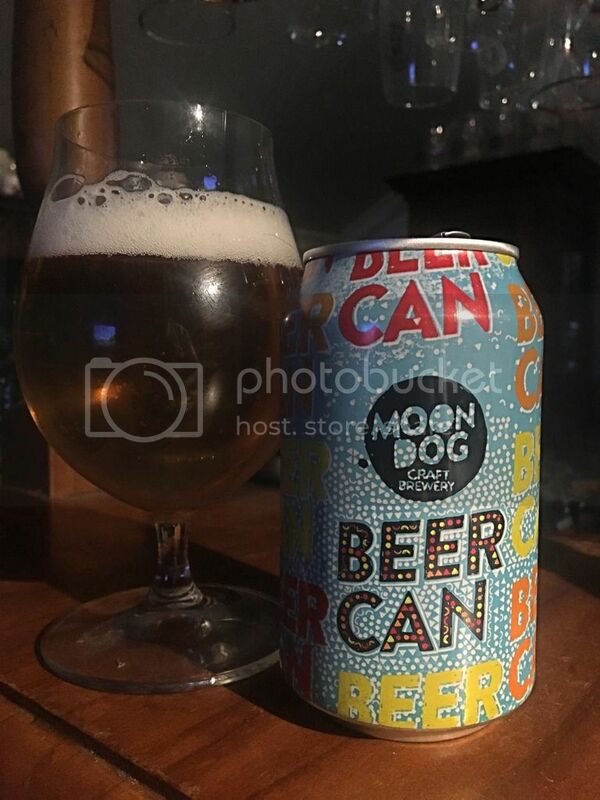 "Moon Dog were pretty self deprecating when they put out a canned lager for the summer. It was funny and a bit off centre like everything they do tends to be, but this is actually an interesting little beer. Released in very reasonably priced ten packs with striking ‘Mexican fiesta’ artwork (it actually reminded me of Aboriginal art more than anything), this is a super smashable beer which obviously had a fair bit of thought put into it. It’s hopped with the Falconer’s Flight variety grown in Washington/Oregon and used primarily for IPAs and has cold press fruit juice added in. You can taste both of these additions, with the combination bringing out juicy, bright orange and passionfruit flavours. Makes a nice companion piece to the Kaiju Krush." Another of the brand new beer in this pack was Kaiju's Krush! This beer may have been released in December but I very nearly voted for it in the Hottest 100! It's a phenomenally fruity Pale Ale, that I've been assured doesn't have any added fruit juice. There was so much hype around this beer that it was sold out within days of release! 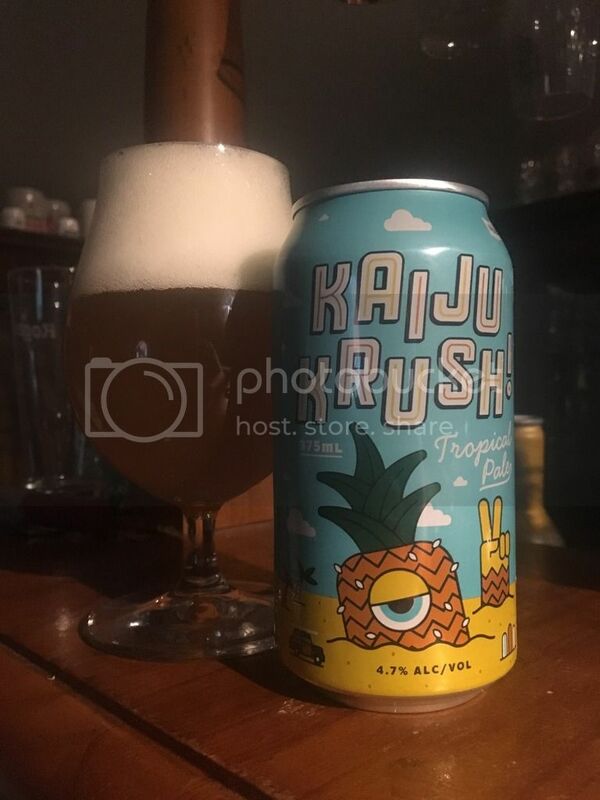 "A new Kaiju beer is always a welcome sign! Apparently a lot of people agree with me as this beer became pretty hard to find not too long after release. It makes sense — it’s in a fantastic, eye-catching can and the flavour profile is perfect for the heat. There’s clean malt in here but the focus is clearly on the tropical fruit flavours (especially pineapple) emerging from the hops. It’s a juicy, well balanced pale with far too much quality to be dismissed as a brewery jumping on the summer can trend." I was disappointed in the length of time it took for Exit to release #014 after #013. I'm aware they had commercial interests at heart; paying off their brewery, launching their core range etc. But all that aside; these numbered one off beers are what I love Exit for and so I was pleased to see this beer in this pack. "Very solid. I had this bottle after Christmas lunch and it was a good jolt to the tastebuds. 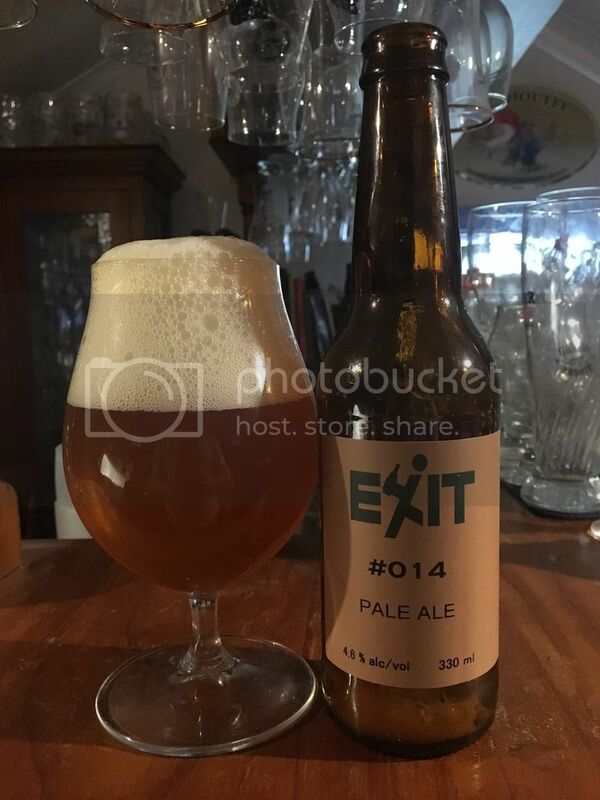 Exit are excellent at balancing their hops just right for the styles they go for and this was especially evident here. The bitterness is strong and it works well, with some light tropical/citrus notes coming through to help balance. I think I found this to be the least interesting of this month’s batch — that says more about the quality of the pack than the beer though!" I'm not sure if it's my love of Exit talking but I'm going to disagree with Dylan. I thought that this was the pick of the three new Victorian beers in this pack. It's rare you come across an Australian brewed Pale Ale with the level of hop bite that this beer had. This bitterness was joined by biscuity malt and combined beautifully with the tropical and citrus notes that Dylan picked up. 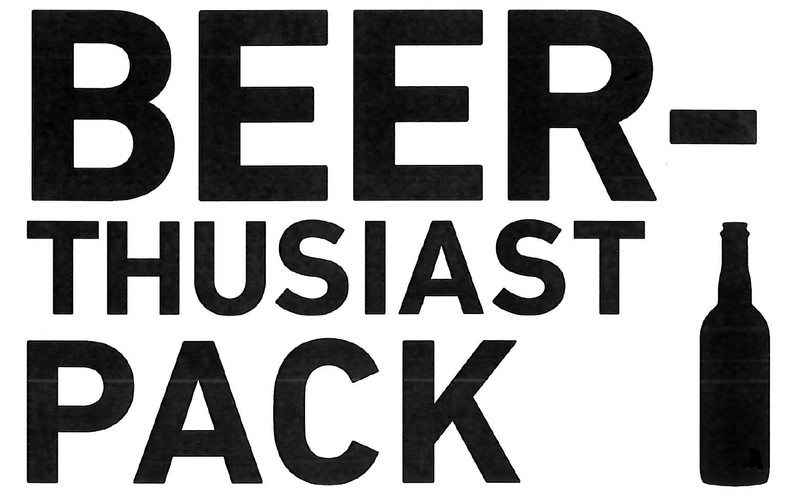 What a great choice for the first pack exclusive Beer-Thusiast Pack beer! 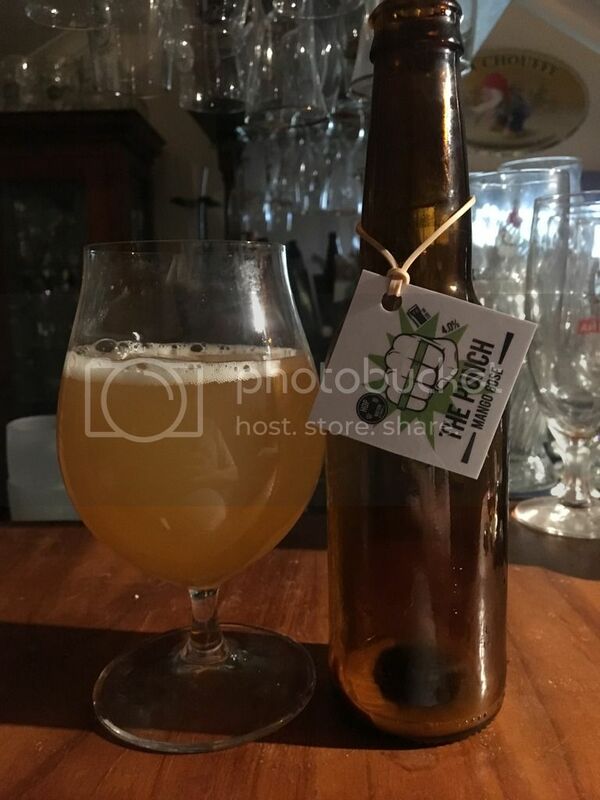 Hop Nation's The Punch is a mango infused Gose and was a tap only release that started popping up around Melbourne in late November. Dylan and I both sampled this at the brewery in early January and I have to say I think it's one of the better Australian sours on the market - an ever increasing market at that! "I’m glad this style is taking off in Australia. I love goses as a style and it also gives greater meaning when I say that this is very close to, if not the best Australian gose produced here to date. Having tried it a couple of times since this bottle I definitely noticed a touch more salt — I had initially pegged this as more of a berliner weisse. The tartness is pitch perfect, the mango flavour is big and super fresh and there’s mouth watering acidity/salinity as it finishes to round it out. Hop Nation make good beers but nothing pointed to me they could produce a sour this delicious. Colour me impressed! Here’s hoping it becomes a regular." This beer I've written about recently on Beer O'Clock Australia; it was my Golden Pint 2016 Winner for Best Canned Overseas Beer. It's one of a number of grapefruit infused IPA's to sweep the market in 2016; and in my opinion the best! "I had this for the first time a little while back and was shocked at how good it was. After trying it again in this pack my opinion definitely hasn’t softened over time. This is an incredibly good IPA — the bitterness is surprisingly mellow for a BrewDog joint but is supplemented with waves of pithy citrus, piney hops and, of course, grapefruit. It’s just so well rounded and constructed from first sip to last, big in flavours but with a moreish quality that makes it hard to put down. Another beer that is a big beneficiary of being packaged in cans too." 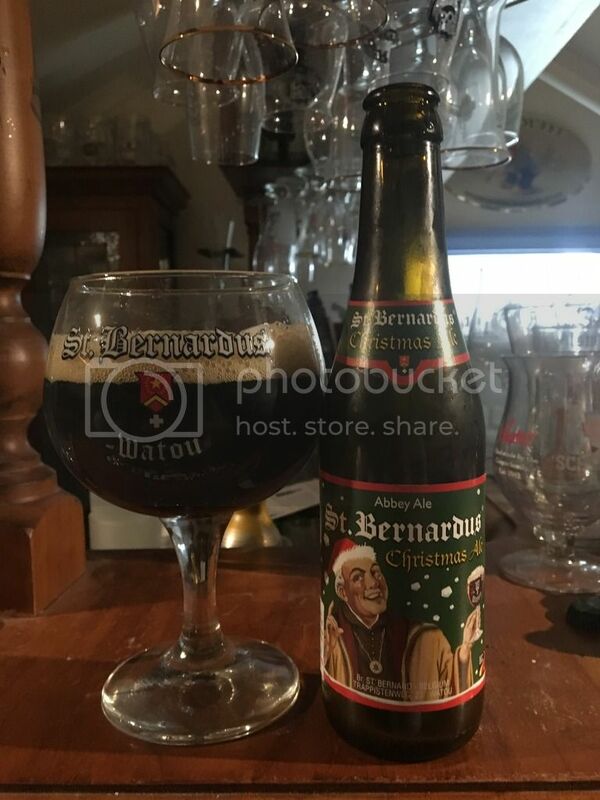 Every year I try and have a few Christmas themed beers; particularly on Christmas day. I'd done a bit of shopping early and had already bought one of these before the pack arrived, which was a blessing in disguise as Dylan and I both got to have a whole one! "Despite the weather in Australia not quite being right for it this was a very welcome member of the December pack. Pours a dark garnet with a lovely head. Definitely one for slow sipping — both because of the high ABV and the complex flavour profile. It’s mildly boozy but far more pleasant than ‘hot’, with plenty of dark fruit and a rich malt profile. There’s some earthiness and banana/date flavours that come to the fore as it warms up. Just lovely." I think it's fair to say that this was the best pack yet! Apologies if it became a little too gushy from either of us! 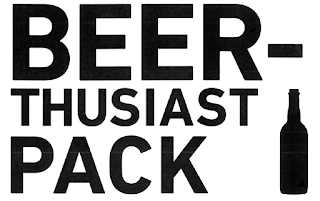 Dylan and I have both already imbibed and reviewed all of the January beers, so with any luck I'll get that up in the next week or so - hopefully before February's pack is delivered! There's a few other pieces in the works that have been delayed by an appalling MBA assignment this month that I'm hoping to get a chance to complete after Tuesday's submission date.